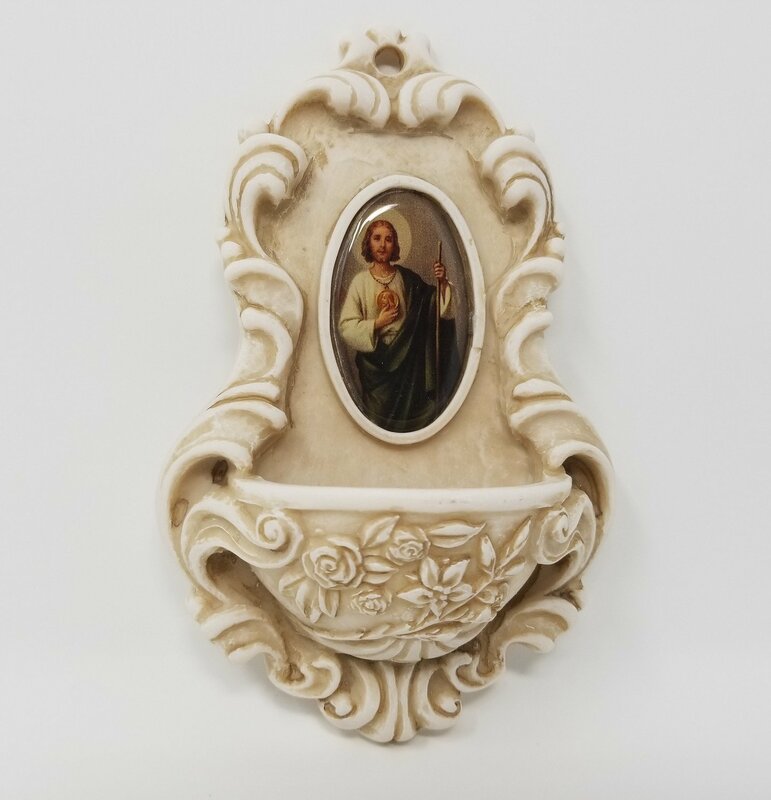 Ceramic, with enamel inlay, made in Italy. Measures approx. 6 1/2 inches tall.